Anton Zaslavski, known primarily by his stage name Zedd, is a Russian-German electronic music producer and DJ. 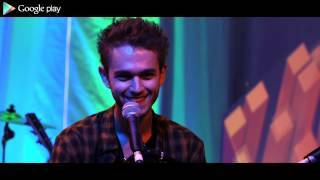 Zedd is classically trained and plays both piano and drums. In interviews he speaks up about not owning any hardware in his studio, the majority of his productions being made on a Macbook Pro running his preferred DAW, Cubase. When DJing a live set, Zedd opts for a Native Instruments S4 control surface and Traktor. Aside from constantly working on his own chart topping tracks, he also produces tracks for various pop artists including Justin Bieber and Lady Gaga. What kind of Studio Equipment does Zedd use? Click here to let us know! Zedd has classical training and plays the piano, so it's important to him to use a very solid, reliable, and high-end keyboard. In photos of Zedd in the studio he can be spotted working with an M-Audio Axiom 61 keyboard controller. While Zedd seems to be having some fun with his chair, we spotted the awesome Apogee Duet 2 USB Audio Interface in his studio setup. In a tweet Zedd confirmed he made the upgrade to the MacBook Pro With Retina Display. ZEDD is seen using the CME XKey 37 Mobile Keyboard Controller (bottom right of the photo) in this photo taken September 26th 2015 at the Southside Ballroom in Dallas Texas during his performance on his True Colors Tour. Photo credit Rukes. This MIDI controller is seen behind Zedd in this picture from Rukes at Interscope Studios. http://photo.rukes.com/zeddstudio/slides/zeddstudio%20011.html It is also mentioned in a Tweet, given as the source here. The Midi Fighter 3D can be seen on the table in this image of Zedd in the studio by Rukes. In this photo by Rukes, you can see ZEDD's keyboard, the M-Audio Axiom Pro 49, connected to his MacBook. This mixer is seen in a picture by Rukes in a compilation of Zedd at Interscope's Studio. In this YouTube video Zedd is seen using the display connected to his MacBook in the tour bus and in his studio. He can be seen working on Cubase. Minutes 2:17, 7:31,14:18 and 24:12 of the video. In the rack at 46 seconds, you can see two Empirical Labs EL8-X Distressor units mounted below his headphone amp. In a photo on his engineer's Instagram in his studio, you can see a Tube Tech CL1B compressor mounted in the rack. "Another view of Zedd’s studio, showing the large Augspurger monitors that are his main playback system. The outboard rack to the left of the studio desk contains, from top: two Furman power conditioners, Tube-Tech CL1b compressor, Empirical Labs EL500 chassis with AMS Neve preamp and EQ modules, Rolls headphone amp, Antelope Audio Orion audio interface and Dangerous Music Monitor-ST monitor controller. The curved control unit for the latter is visible on top of the desk in front of the left KRK monitor." Visible at the left of this photo from Zedd's interview with Sound on Sound magazine. What kind of Software Plugins and VSTs does Zedd use? Click here to let us know! Another one of the software synths Zedd speaks about using occasionally. "Synthmaster gives me instant inspiration and creativity. The sound engine behind the synth is brilliant and the presets offer me excellent options to start my productions. The modulation and sound design capabilities are endless and I can easily shape any sound into something that works perfectly." Zedd is listed as an artist who uses the Sausage Fattener on Dada Life's website. Photo of Zedd with Waves H-Comp Compressor Plugin visible on screen. Original source here, Zedd @ Interscope Studio - August 23-24, 2011. In this photo you can just see FabFilter's Timeless 2 Delay Plugin being used by Zedd. In this Facebook photo of Zedd at the Interscope studio, an instance of the PCM reverb is running right next to the red H-Comp plugin. The signature yellow interface with vertical sliders distinguishes it as the PCM Native Room reverb in particular. In one of his tweets, Zedd tweets to Steve Duda (The developer of LFO Tool) asking for help. "@steve_duda dudaaaa. LFO tool is crashing with the new cubase 7 and I'm crying over here :'("
The box for Komplete 8 can be seen next to Zedd in this picture from Rukes at Interscope Studios http://photo.rukes.com/zeddstudio/slides/zeddstudio%20011.jpg Zedd also mentions it in a Tweet, given here as the source. 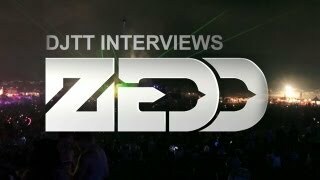 Pause around 1:34 and you can see zedd's screen and it says kontakt in the working sample. Zedd's gear is on Equipboard.